The Riverside Festival 2016 kicks off this May Bank Holiday weekend with the return of the fourth annual Electric Frog & Pressure Riverside Festival. Event organisers recently revealed the first wave of acts to appear including Fatboy Slim, the return of Cocoon at The Riverside featuring with Sven Väth plus Laurent Garnier, Rødhåd, SLAM, Gary Beck, Ilario Alicante, Jackmaster, Dimitri from Paris, Vril (live) and Dixon Avenue Basement Jams. The outdoor event will once again take place on the grounds of the Riverside Museum on the banks of the River Clyde and will be bigger than ever before with more bars and more music, kicking off earlier this year at 3PM. Cocoon will host the Main Stage at this year’s festival. For over 15 years Sven Väth’s Cocoon has represented possibly one of the most successful ever party concepts and is apparently responsible for a radical change in Ibiza’s nightlife. Laurent Garnier is set to return after apparently blowing the roof off of The Pressure Stage in 2014. Rødhåd’s style is always deep, powerful and melancholic - from dubtechno to techno and back to house making Berlin’s Berghain resident a decent addition to this year’s line-up. 2016 promises to be one of the biggest years yet in the glittering career of the dynamic Glaswegian duo SLAM. As Slam's Soma label prepares to embark on the 25th year of its journey, you only have to take one look at its release schedule to understand why they have arguably remained on the cutting edge and firmly at the forefront of musical innovation. Apparently a regular fixture at the world's top clubs and festivals, Glasgow-born producer and DJ Gary Beck has long been established as a primary figure in techno. He has gained support from the best names in the business and released music on some of the genre's leading labels, institutions such as Drumcode, Cocoon and Saved as well as his own BEK Audio imprint. For DJ and producer Ilario Alicante, a Time Warp debut at the age of 15, productions for Cocoon Recordings, Cécille Records, SCI + TEC Digital Audio, and DJ sets over the past two Ibiza seasons, have all established him as possibly one of the scene’s most serious new contenders. 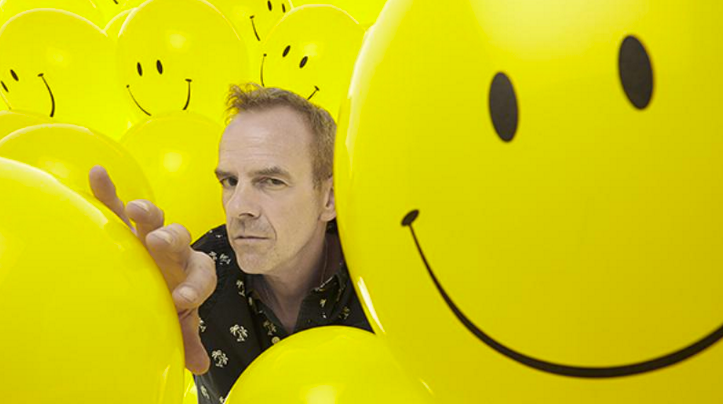 Fatboy Slim’s live shows are an explosive mix of party house and complex audio-visual production that he’s set to unleash at the Riverside Museum. Recent trips around the world have seen him stop to play a DJ set on the Great Wall of China, projections and lasers in tow. Jackmaster will make his Riverside debut in 2016 and the Numbers co-founder has possibly more options up his sleeve than just about any other DJ out there. Label heads Dan Monox & The Wasp launched Dixon Avenue Basement Jams in late 2012 and since then they have established themselves as possibly one of the most exciting labels in house and techno. Dimitri from Paris career in radio led to his being asked to rework tracks for various artists, among them Björk, New Order, and the Brand New Heavies. Along the way he was hired by chic fashion designers like Chanel, Gaultier, and Lagerfeld to put together soundtracks for runway shows and boutiques. Over the course of his 30 years career, he has sold more than a million copies of his eclectic outings. Vril (live)’s music made such noise that it instantly found his place on Marcel Dettmann’s selection for his ‘Conducted’ CD and on Ostgut’s release schedule. His sound is a search for the ever-going movement, exploring a never stopping energy.